Las Vegas was booming with the Design and Construction Week taking place a few weeks ago. This monstrous event includes the International Builders’ Show (IBS), The Kitchen & Bath Industry Show and The International Surface Event all taking place at the same time. 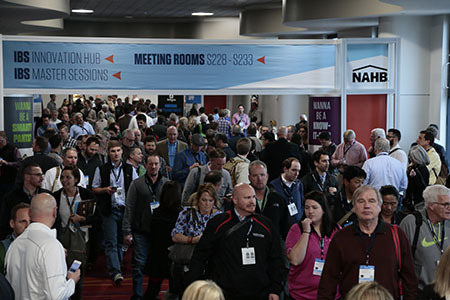 IBS, was held at the Las Vegas Convention Center from January 19 to 21, by the National Association of Home Builders (NAHB). It is a great opportunity for our architecture team to make their yearly trip to visit our customer’s displays and to see the latest products, materials and technologies for building and construction. We were pleased to see our customers were displaying products with Americhem technology. 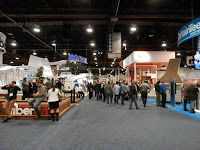 This was my first visit to the show and I was astonished by the wide array of businesses represented, from deck boards and fence rails to 3D printing and online database registrations. It was great to see what people are bringing into the building and construction market, and it didn’t hurt that there was also fresh baked cookies, coffee and other fun treats! This year there were two full exhibition halls and an outside area full of everything you could imagine, from front doors to toilet seats and everything in between. 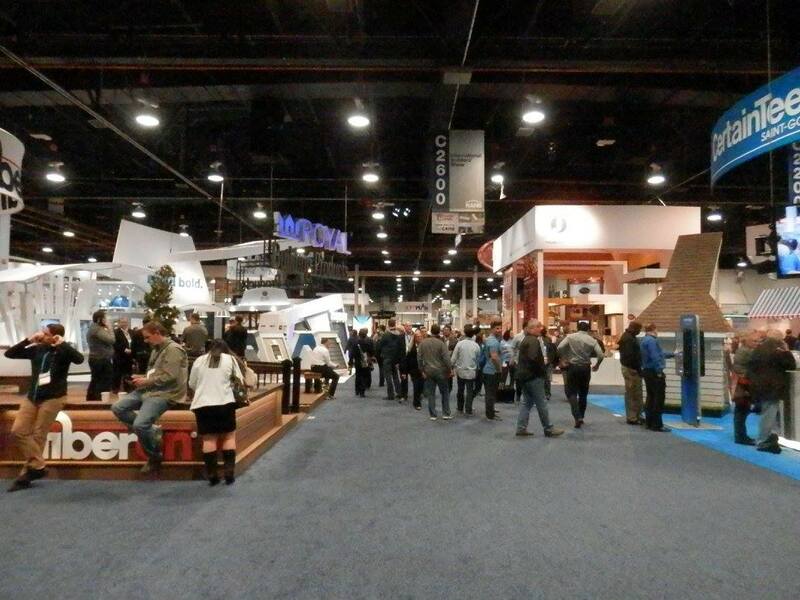 The theme of this year’s show was Discover the Building Universe and it translated with the plethora of new products that focused on home technology and increased energy efficiency. With next generation products coming to market earlier than expected, homes that are being built now have technologies that people were expecting to see in 5-10 years. Cost saving, space saving and energy saving are the upcoming trends. Your next home will have automation platform controls that will be able to control your lights, audio, video and security systems with one simple interface. It appears that the building and construction industry is making leaps and bounds when it comes to technology, catching up to other industries such as automotive. These technologies are coming fast and will soon change how everyone lives.